Optifine Fps Boost mod for Minecraft 1.4.6 is an unbelievable mod which inject a new energy in your game. Optifine HD Mod is basically a fps boosting mod which improves the quality of Frames per second in your game. There are several other mods which allows you to do this thing but Optifine has a significant quality. So check the rest of the entry below.. Description: Performance enhancing mod for Minecraft. • Browse to your Minecraft.jar (java) file. It can be accessed easily; Just Press WinKey+R and type %APPDATA%/.minecraft/bin and hit enter. • Now Open minecraft.jar with any archive editor, WinZip, WinRAR or 7zip. • Delete the META-INF folder. 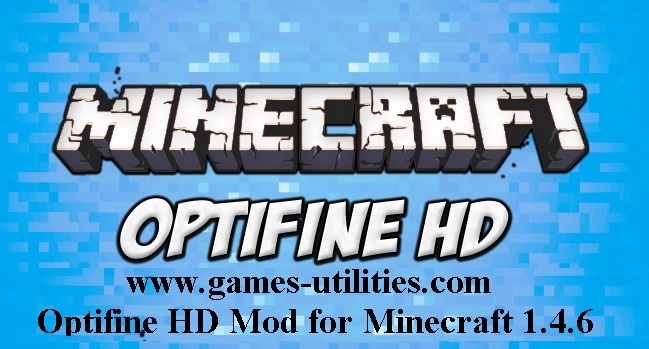 • Download the OptiFine HD mod zip file from link above open it (refer to step #3). Copy the .class files into the jar File. • Enjoy, you have installed the mod. So folks enjoy playing Minecraft 1.4.6 with your Optifine mod and don’t miss to comeback here and check the latest updates of your favorite game Minecraft online here..